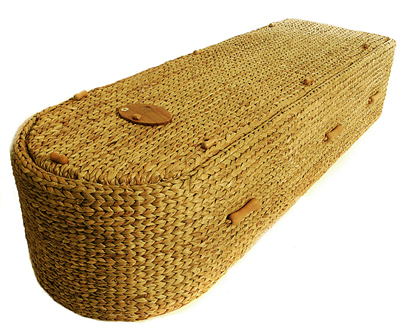 Made from water hyacinth which is fast growing and freely available making an environmentally sound alternative to the traditional wooden coffin. Constructed with a wooden frame and extremely strong and rigid. Available in the following sizes: 5'3" x 16", 5'6" x 16", 5'9" x 18", 6'1" x 20" and 6'3" x 22". 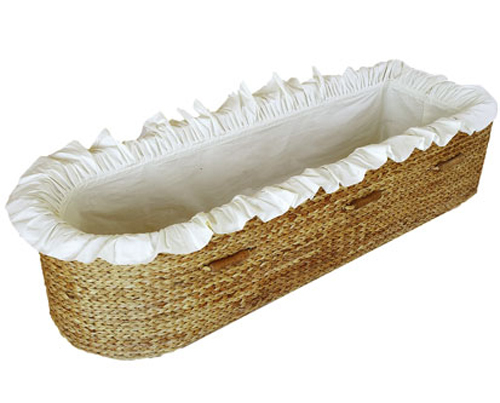 Comes complete with a leak proof liner and decorative calico lining. A plaque is also included in wood, card or brass. We are also able to offer engraving for the name plate at £10 for up to 30 characters. Once we receive your order we will contact you to arrange the details of the engraving for your plaque. 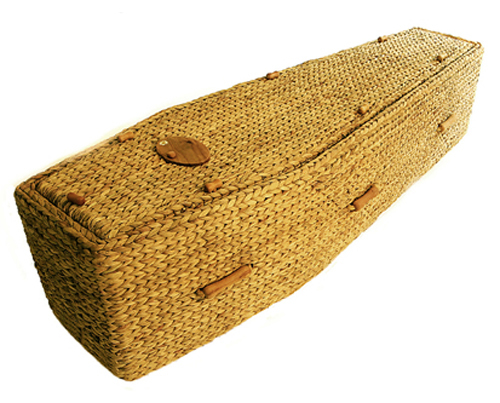 A delivery charge of £25 + vat will be made for each coffin.